Another fine campaign by Good Old Games (GOG). 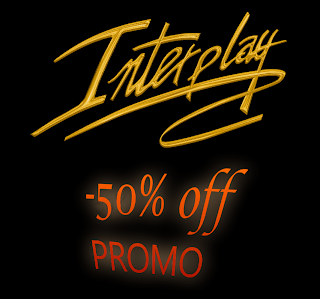 This weekend they offer Interplay games -50% off for their game downloads - and since they all seem to be $5.99 by regular price, they're all just $2.99 per game with the discount. There are 31 Interplay games included in the campaign, and you can get the whole lot for $92.69 - if you're total nut or Interplay fanboy.